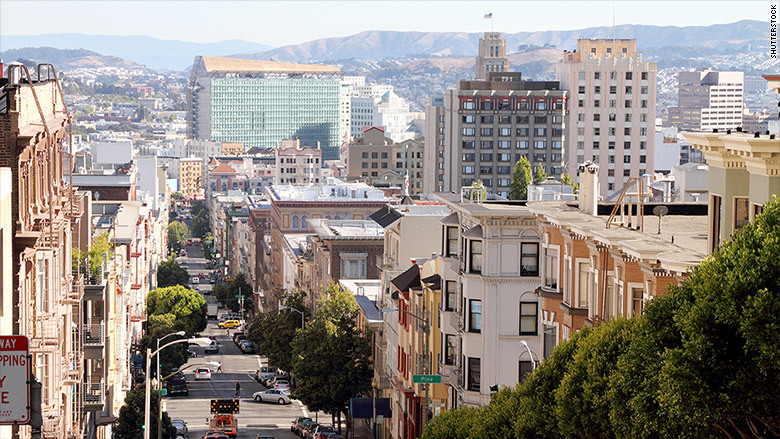 San Francisco is among the top 10 best cities for women entrepreneurs. There's no question: The West Coast has a lot of love for female entrepreneurs. Seven of the top 10 cities for female business owners are in Colorado and California, according to a new report from NerdWallet, which analyzed 174 metro areas with populations over 250,000. Using Census data, the report ranked the hubs on factors like the size of small business loans, annual income for women, average business revenue and number of women-owned businesses. California is home to four of the top 10 cities: Santa Cruz, Santa Rosa, San Luis Obispo and San Francisco. All four have more women-owned businesses per 100 residents and higher annual incomes for women compared with the national average, according to the report. Many of the cities on the list also offer a large educated workforce and strong local economies, according to Kamran Rosen, senior data analyst with NerdWallet. Colorado had three of the top 10 cities: Boulder (which came in at No. 1), Denver and Fort Collins. Those three cities have an above-average rate of small business loans for women entrepreneurs. "Access to capital is one of the most important factor to starting a small business. In that regard, the cities in the West are dominating," said Rosen. Boulder ranked No. 1 in both the number of women-owned businesses per 100 residents and the number of SBA loans per capita. Rounding out the list were Bridgeport, Connecticut, Minneapolis, Minnesota and Portland, Maine.